Java for Windows XP - an application for running console programs written in Java. The utility includes a trace and logging tool, allows you to debug the process of executing code, contains a console with the ability to use the background, can be used as an interpreter for launching browser applets. The tool supports modern web browsers and setting update schedules, can detect malicious code, check the effect of site certificates. The application includes online help, allows you to change the degree of protection, install components selectively. 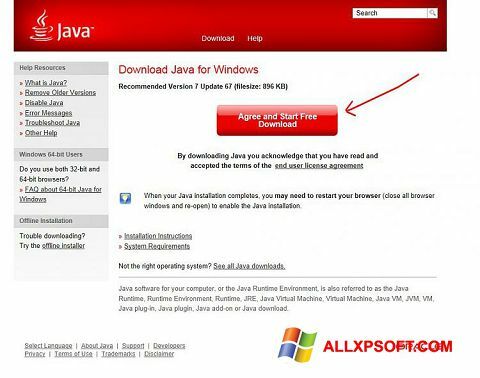 You can free download Java official latest version for Windows XP in English.